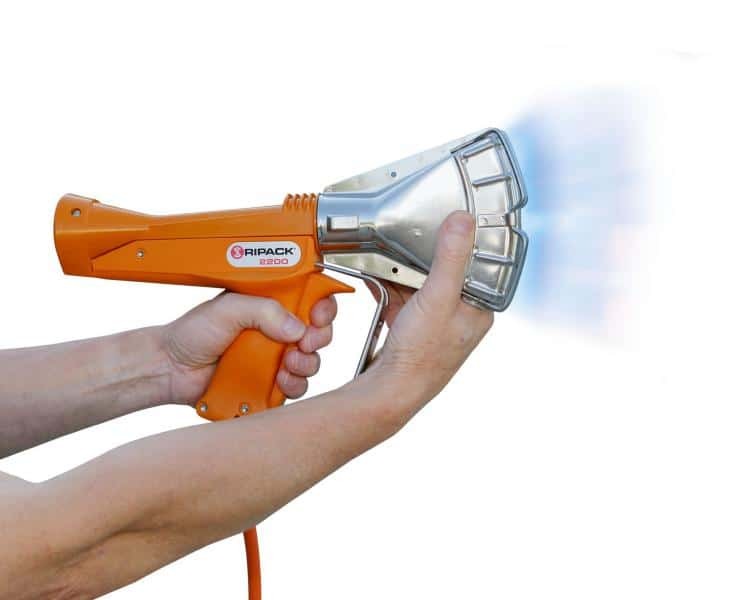 With 72 kW of power, the Ripack 2200 is the most powerful shrink gun on the market, with the Ripack Series 3000. It also retains all of the key points that made its predecessors so popular: safety (patented cold nozzle and securepack), robust construction and quality. Lighter, well-balanced and easy grip, the RIPACK® 2200 nozzle can be pivoted, even while in operation, for easy and precise results.